A cardiac rehabilitation program is a combination of activities designed to help patients recover from cardiovascular conditions, such as myocardial infarction and angina, and to prevent future cardiovascular events, such as a heart attack or stroke. These programs also help patients recover from surgical and interventional procedures, such as coronary artery bypass graft (CABG) surgery and angioplasty and stenting. 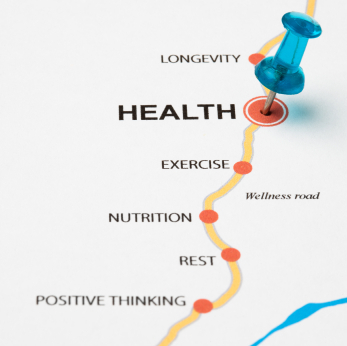 Long-term goals, including identifying and treating cardiovascular risk factors. Psychosocial counseling to help patients cope with the emotional effects of their condition. Other medical problems, such as poorly controlled diabetes or transplant rejection. Cardiac rehabilitation programs are typically located at an outpatient center at the hospital or at an independent cardiac rehabilitation center. Rehabilitation begins as soon as the patient is medically stable after the cardiac event, diagnosis, or procedure and typically has 3 phases. Most programs have many of the same elements. Phase 1 includes meetings with a member of the cardiac rehabilitation team and education regarding the patient’s condition and recovery and often includes the patient’s family members. The patient learns how to make therapeutic lifestyle changes to lower his or her risk for a cardiac event. Supervised exercise begins in the hospital. After discharge from the hospital, the patient begins outpatient cardiac rehabilitation, which includes supervised exercise, education, and psychosocial support. While in the hospital, the patient may begin nontaxing activities, such as sitting in bed and performing range-of-motion exercises that are intended to help maintain muscle tone and flexibility. Physical activity rehabilitation is intended to progress gradually through different steps or levels, typically 1 level each day. On the first day, the patient may be restricted to bed and only allowed to engage in simple grooming activities. By the second or third day, the patient may be walking around the hospital room or the nurse’s station. After transferring from the cardiac/coronary care unit (CCU), patients will be asked to sit up, stand, and walk in their rooms, gradually increasing activity as he or she is able. Beginning with 10 to 15 minutes of walking per day, the patient gradually increases the duration until he or she is walking for up to 30 minutes per day. The next 2 to 6 weeks of rehabilitation begins when the patient goes home from the hospital. During this time, the patient gradually assumes more responsibility for his or her own care, increases his or her activity level under supervision, and uses his or her own strength to perform range-of-motion and strength exercises instead of relying on the physical therapist. The physician may also suggest exercises the patient can do at home, including walking, stationary cycling, and easy calisthenics. Patients also continue to attend health and nutrition education classes as well as receive psychological counseling and support. Patients may also be advised to participate in supervised, personalized exercise at the hospital or at a cardiac rehabilitation center. Typically, these programs include aerobic exercise as well as strength training. Patients are tested first to determine how able they are to exercise. 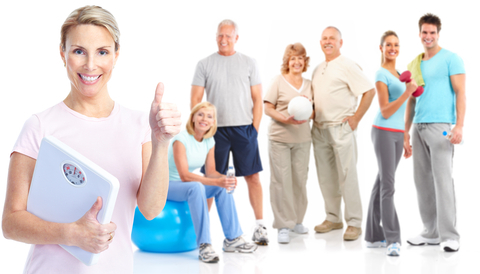 Patients typically attend exercise training at least 3 times per week, in 30 to 60 minute sessions. During this phase of recovery, many patients join local support groups to learn how to better manage their condition. Near the end of this phase of rehabilitation, the physician typically evaluates the patient’s overall recovery to determine his or her readiness to return to full-time work and other activities. Other follow-up visits will be made, typically at 3, 6, and 9 months after the end of phase 2.